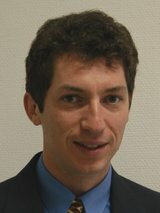 Guy De Tré is currently Head of the Database, Document and Content Management (DDCM) research group, belonging to the Department of Telecommunications and Information Processing of the Faculty of Engineering and Architecture at Ghent University. He finished secondary school at the KA Ninove and received a B.Sc. in Mathematics and a M.Sc. in Computer Science from Ghent University where his master thesis was on optimizing primary disk organization for databases. He also completed a PhD in Applied Sciences at Ghent University on the handing of imperfect information in database systems. In 2002 he was visiting researcher at the Institut de Recherche en Informatique de Toulouse - IRIT (Université Paul Sabatier, Toulouse, France) and the Systems Research Institute (Polish Academy of Sciences, Warsaw, Poland). In 2004 Guy became tenured docent (assistant professor) at Ghent University and co-established DDCM. In 2010 he became head docent (associate professor). Previously, he worked as consultant in data and knowledge engineering for private companies like NMBS and Fabricom. Guy De Tré is an expert in soft computing techniques for information management systems. His research comprises fundamental and applied research. The focus of the fundamental research is on the handling of imperfect information (imprecision, vagueness, uncertainty, incompleteness and inconsistency), more specifically, bipolarity, advanced aggregation, and multi-valued logics. His applied research includes, data quality and big data issues (unstructured data), spatio-temporal modelling, fuzzy querying, and decision support. 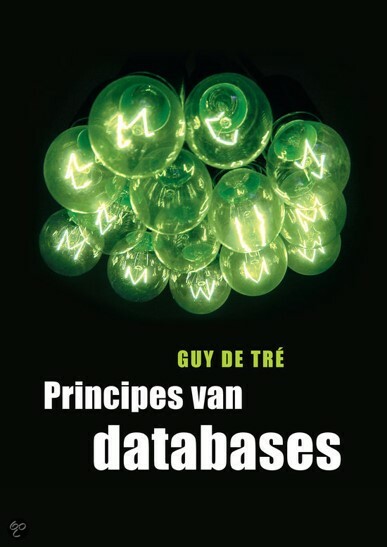 Guy De Tré is author of the book 'Principes van databases', Pearson Education, Amsterdam, The Netherlands, ISBN 978-90-430-1302-4 and (co-)author of more than two hundred other publications. An overview of them can be found here. Meritorious paper award 'Consistently handling geographical user data: Merging of coreferent POIs' (G. De Tré and A. Bronselaer) of the 2010 International Conference of the North American Fuzzy Information Processing Society (NAFIPS), Toronto, Canada, July 12-14th, 2010. Meritorious student paper award 'Aspects of object merging' (A. Bronselaer and G. De Tré) of the 2010 International Conference of the North American Fuzzy Information Processing Society (NAFIPS), Toronto, Canada, July 12-14th, 2010. Best student paper award ‘Evaluating Relevant Opinions within a Large Group’ (A. Tapia and G. De Tré) of the International Conference on Fuzzy Computation Theory and Applications (FCTA/IJCCI), Rome, Italy, October 22-24th, 2014. He has been (co-)promoter of 5 defended PhD theses and is member of the IOF valorization consortia 'I-know, intelligent information management', 'Victoris, valorisation centre for techological optimisation, research & innovation in sports' and 'Pirenne Consortium for Medieval Studies' of Ghent University. Guy De Tré is teaching the courses 'Databases', 'Information Management' and 'Fuzzy Databases'. More information about this can be found here. He was promoter of more than 80 master theses and 8 internships. Guy De Tré is coordinator of the European Eusflat Working Group on Soft Computing in Database Management and Information Retrieval (SCDBMIR). He is also member of the international advisory board of the Systems Research Institute of the Polish Academy of Sciences. He serves as member of the editorial board of the international scientific journals 'Fuzzy Sets and Systems', 'Technical Transactions - Automatic Control', 'International Journal of Computational Intelligence Systems' and 'Information Fusion'. Guy De Tré was also guest editor of several different special issues of international scientific journals and served as reviewer for several book chapters, international journals and conferences. General co-chair of the International EUROFUSE Workshop on Data and Knowledge Engineering, Warsaw, Poland, September 2004. General co-chair of the International Conference on Analogous Spaces, Ghent, Belgium, 15-17 May 2008. General co-chair of the FQAS 2011 International Conference on Flexible Querying Answering Systems, Ghent, Belgium, October 26-28, 2011. General co-chair of the FQAS 2015 International Conference on Flexible Querying Answering Systems, Cracow, Poland, October 26-28, 2015.